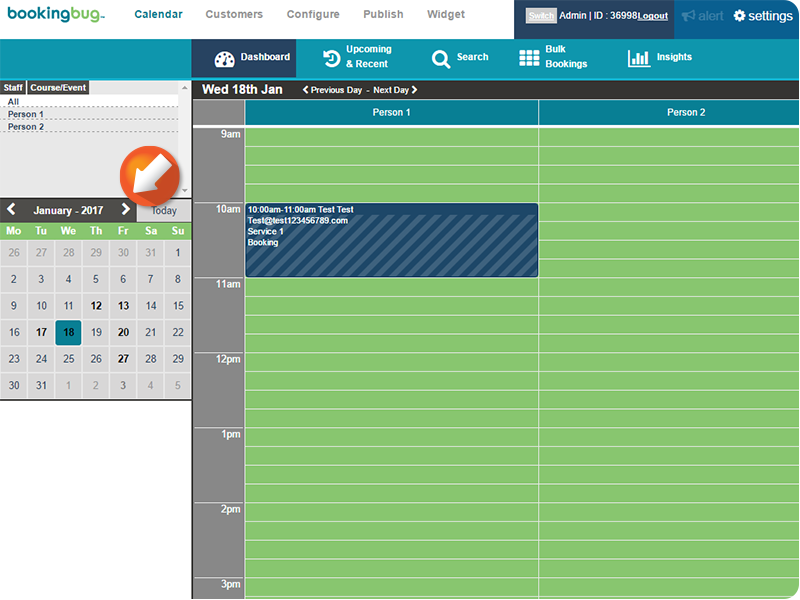 From the Dashboard, select the desired display type (Staff, Resources, Events) from the mini-Calendar. 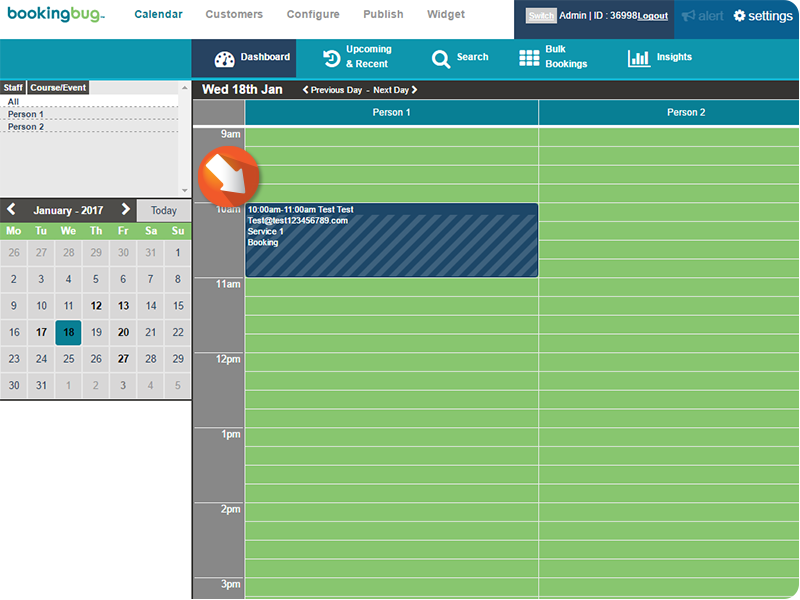 Click the Arrow icons to navigate to the desired appointment date. Click the desired Booking to select. 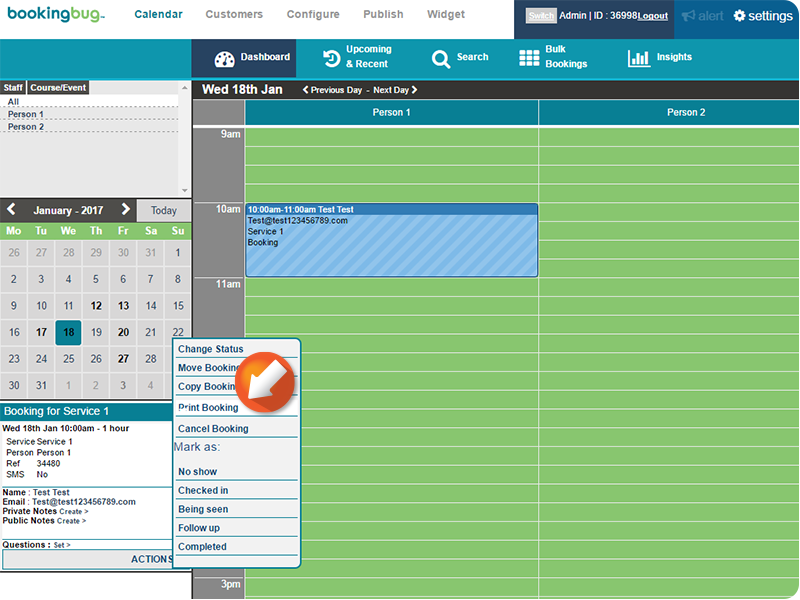 Mouse-over the Actions icon next to the Appointment details field to reveal the menu. Edit printer details as desired, then click Print.